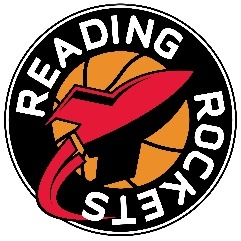 Next weekend on Sat 19 and Sun 20th Jan Reading Rockets will travel to Essex University where both their U 18 teams will be challenging for the titles whilst the Rockets Ladies will also be representing the club in the Senior Cup final less than 24 hours later on the same court. This is the first representation of 3 teams in the National Cup Finals by Rockets in its 21 year history and is a true reflection of the developments of Rockets Academy programme, especially the Girls one as half the Senior Ladies team is comprised of U 18 Academy girls. The Academy programme is overseen by G.B. U 18 Junior Men Head Coach and Commonwealth Assistant Head Coach Alan Keane who’s in his third season at Rockets. Ladies Head Coach David Sanchez, is thrilled to have the U 18 Girls Head Coach Blai Benlloch Villagrasa as his assistant and together the Spaniards have made major contributions to the female game in their 3 years with Rockets. With the Junior Men programme also having grown in stature since Keane’s arrival, the future looks very rosy for Rockets. Coach Keane has also got the Senior Men into the National Trophy semi-final stage. From a coach’s perspective it is fantastic to reach a final. This one is my second year as the head coach of the ladies team and we were thirsty to get into a final with these girls. From my point of view, this year was going to be hard, as we have many young girls but they bring lots of energy. The semifinal game was really hard: Anglia Ruskin was fighting until the end and it was a great game to demonstrate the level we can reach this year. We look forward to preparing for and playing the final. Both teams have a lot of talent and in my opinion the winner of the game will be the one who maintains their concentration and makes less mistakes. We feel ready for the challenge and excited to have this chance to bring the trophy to the club. The feeling of getting into the finals after defeating an amazing team such as Anglia Ruskin was amazing. We have been working really hard to get to play as we want to and with FAMILY spirit and even though we still have a lot to improve, that game was a reflection of that hard work and TEAM spirit that we have. We all are so excited to be in the final and losing is not in our minds. We want to enjoy and have a game that we all can happily remember. We have a great team in front of us that plays really well. I’m sure it’s going to be a really hard game for both sides and the winner will be the one who wants it more. I’m sure each one of us will give the 120% to get that W and enjoy TOGETHER. It’s always a challenge to play a final, but we feel ready for it.